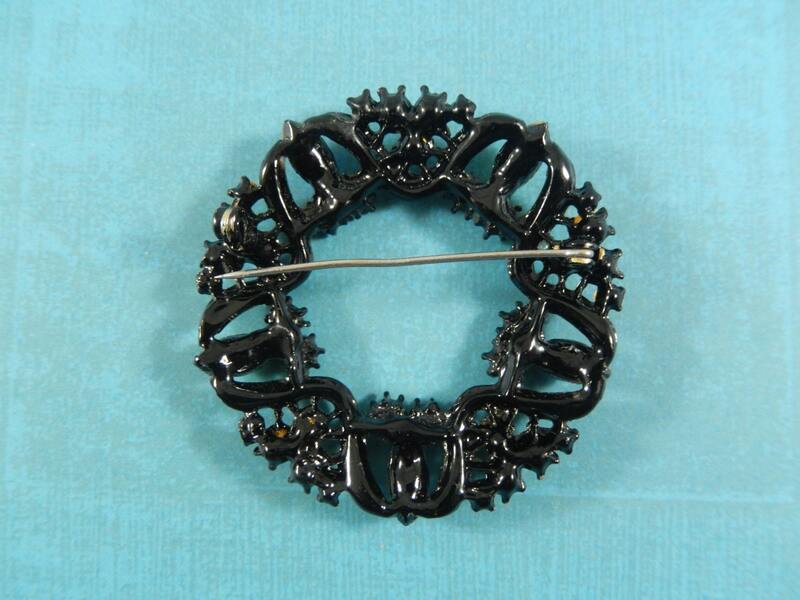 This is a very distinctive vintage brooch that has been Japanned black enamel. 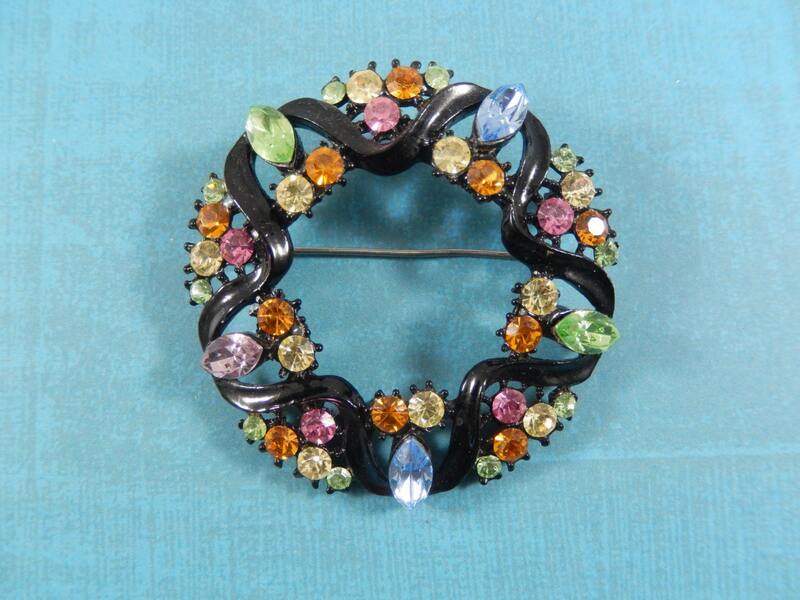 The curving black metal of the wreath actually forms a star with multicolored rhinestones set in and out of each curve. It measures 2" in diameter and the pin is has a slight curve that doesn't affect the secure closure and works smoothly. This is a gorgeous brooch and would make a great gift to a friend or to yourself!